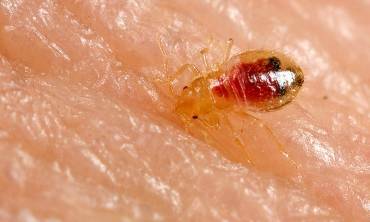 Bed bugs and bed bug eggs are killed once air temperatures reach the “kill zone” of 125°F (52°C). Heat Assault produces temperatures of 145°F or higher using forced convection technology. 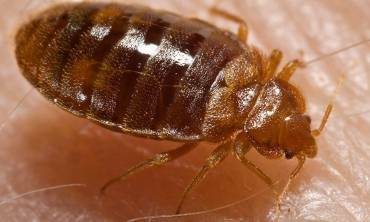 This means that “kill zone” heat is produced quickly and uniformly pumped through the treatment area ensuring the death of ALL bed bugs and bed bug eggs in a matter of seconds. ​Heat Assault’s peak temperature ensures that the hard to reach areas such as wall voids ​and areas insulated by clothing or carpeting are ​able to be treated effectively. 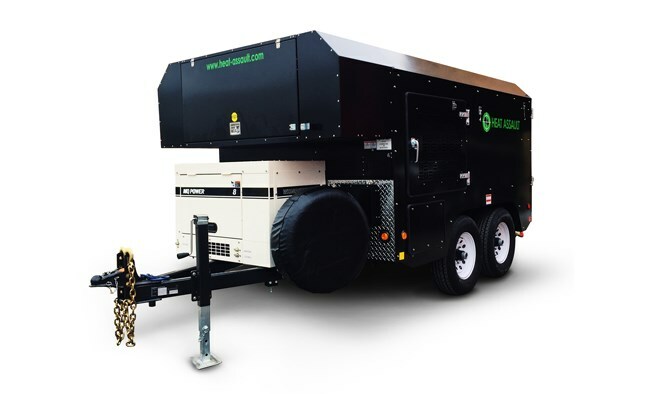 Heat Assault quickly creates these jaw-dropping temperatures by using two powerful continuous loop systems that run on either bio-diesel or diesel fuel. The first loop takes place inside the Heat Assault unit itself. First, the 100% environmentally-friendly heat transfer fluid (HTF) is drawn from the unit’s reservoir and pumped through dual coil heaters (rugged coil piping heated by oil fired burners) to a temperature of 205°F (96°C). Once the HTF is heated, it is returned to the 135 gallon (511 litre) reservoir where it is held prior to phase two of the process. This first loop results in a 500,000 BTU/Hr. generation of heat, making Heat Assault the most powerful bed bug heating equipment on the market. Period. The second loop draws the HTF from the Heat Assault unit and uses industrial grade hoses to carry the solution to remote heat exchangers (radiators with fans) which blast heat to areas that require bed bug eradication. The HTF is then pumped back from the remote heat exchanges to the Heat Assault reservoir for reheating, leaving only the blistering heat to destroy bed bugs and bed bug eggs in the targeted areas. A wireless temperature sensing and data logging system allows the operator to remotely track the temperatures of different locations in the target area. This ensures that every area of the residence reaches kill zone temperatures. You can even provide your client with documentation that proves a successful treatment.